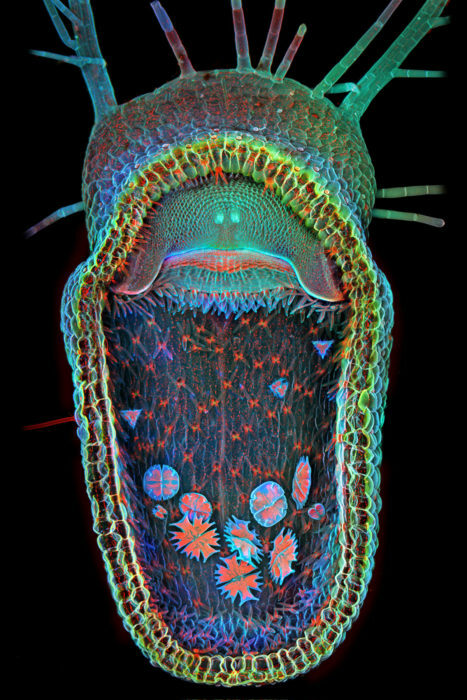 The yawning trap of a carnivorous plant has taken First Prize in the 2013 Olympus BioScapes Digital Imaging Competition. Igor Siwanowicz, a researcher from the Howard Hughes Medical Institute captured the fascinating photo. The confocal image was selected from more than 2100 entries. Celebrating its 10th Anniversary, the competition is the world’s premier platform for honouring images and movies of human, plant and animal subjects as captured through light microscopes. In addition to the Top 10 award-winning recipients, 69 Honorable Mentions received recognition this year, including 55 still images and 14 movies. 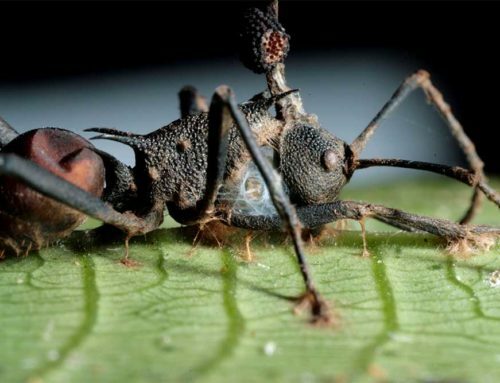 The 2013 winning entries reflect the latest advances in neuroscience and cell biology as documented by researchers, along with amazing glimpses of life on a microscopic scale captured by hobbyists, students and scientists. Next year’s competition, which closes September 30, 2014 is already open for participants. Entrants can submit up to five still images, image sequences, or movies of life science subjects captured at any magnification using a compound light microscope. 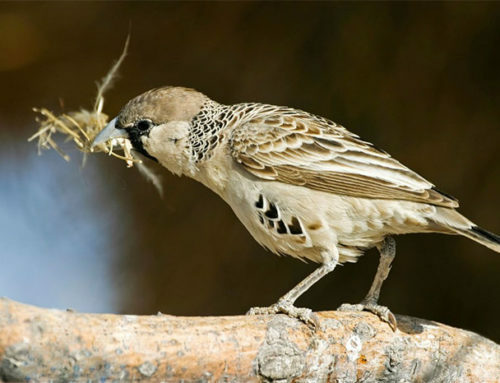 To enter the competition or view the BioScapes gallery of winners and Honorable Mentions, visit www.OlympusBioScapes.com. Open trap of aquatic carnivorous plant, humped bladderwort (Utricularia gibba). The floating plant digests microinvertebrates that are sucked into its trap a millisecond after they touch its trigger hairs (hair bases are seen in the center of the domeshaped entrance). The traps also provide a microhabitat for single cell green algae, predominantly desmids, visible here. The red in the image comes from chlorophyll’s innate fluorescence. Confocal imaging, 100x. Igor Siwanowicz, HHMI Janelia Farm Research Campus, Ashburn, VA, USA. First Prize, 2013 Olympus BioScapes Digital Imaging Competition®. 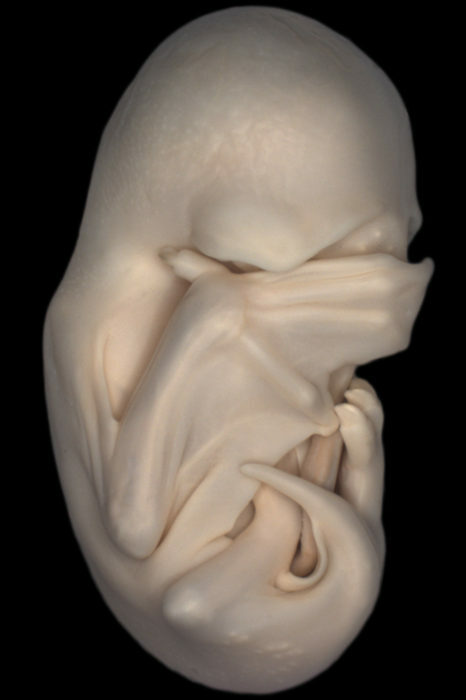 A lateral view of a black mastiff bat embryo (Molossus rufus), at the “Peek-a-boo” stage when its wings have grown to cover its eyes. 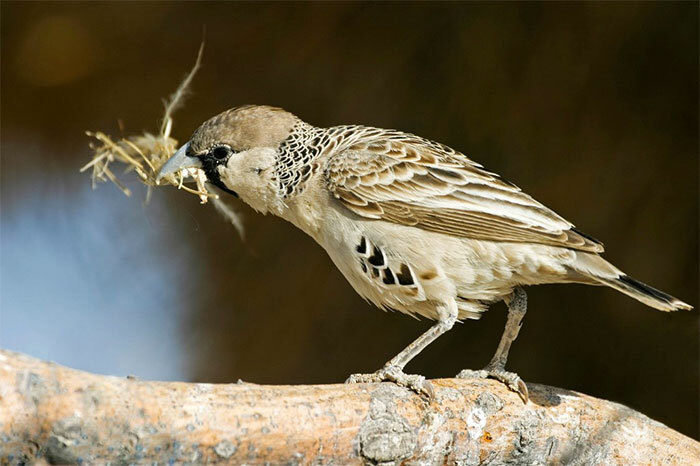 As development progresses, their fingers grow longer and form the maneuverable struts of their wings, supporting the membrane between their fingers. Stereo microscopy. Dorit Hockman, University of Oxford, Oxfordshire, UK. Second Prize, 2013 Olympus BioScapes Digital Imaging Competition®. 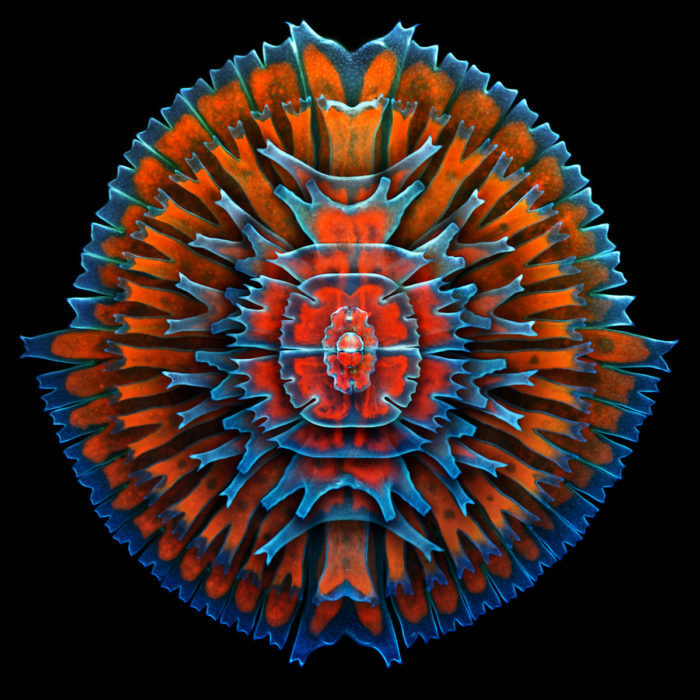 A composite image showing a collection of single-cell fresh water algae, desmids. Desmids exhibit a vast diversity of sizes from 10 microns or smaller to 0.3mm or more. The red in the image comes from the innate fluorescence of chlorophyll. Organisms include (concentric from the outermost in): Micrasterias rotata, Micrasterias sp., M. furcata, M. americana, 2x M. truncata, Euastrum sp. and Cosmarium sp. Confocal imaging, 400x. Igor Siwanowicz, HHMI Janelia Farm Research Campus, Ashburn, VA, USA. Third Prize, 2013 Olympus BioScapes Digital Imaging Competition®. 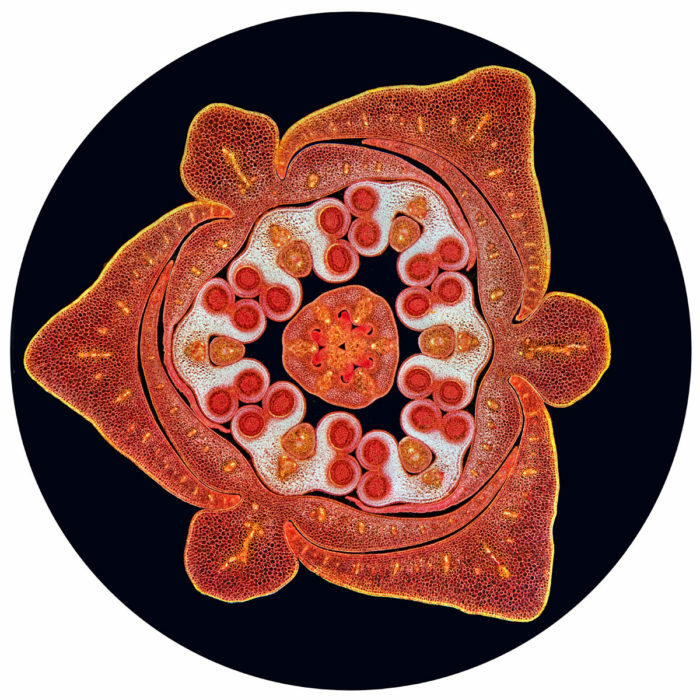 Stained transverse section of a lily flower bud. Darkfield illumination, stitched images. Spike Walker, Staffordshire, UK. Fourth Prize, 2013 Olympus BioScapes Digital Imaging Competition®. Mouse embryonic fibroblasts showing the actin filaments (red) and DNA (blue). 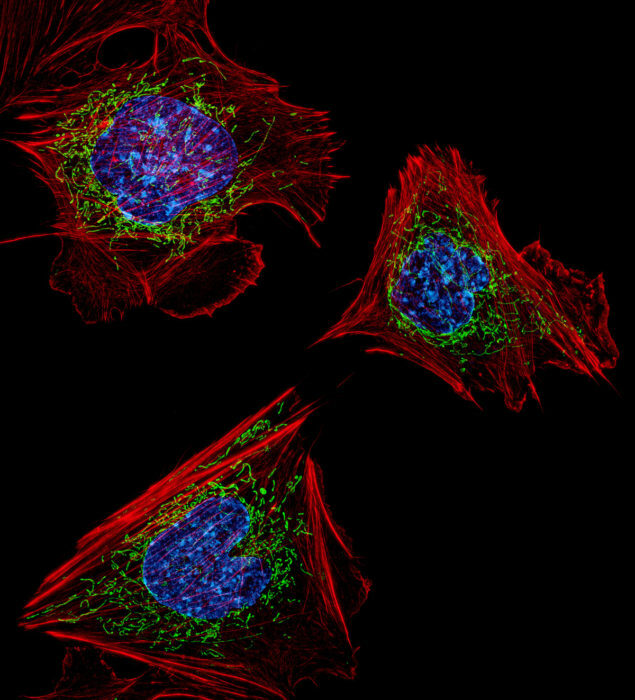 The image also shows the insides of mitochondria, which were visualized by expressing a green fluorescent protein (GFP) fused to a mitochondrial localization sequence. Structured illumination microscopy (SIM) fluorescence; image acquired with a 60x objective. Dylan Burnette, National Institutes of Health, Bethesda, MD, USA. Fifth Prize, 2013 Olympus BioScapes Digital Imaging Competition®. 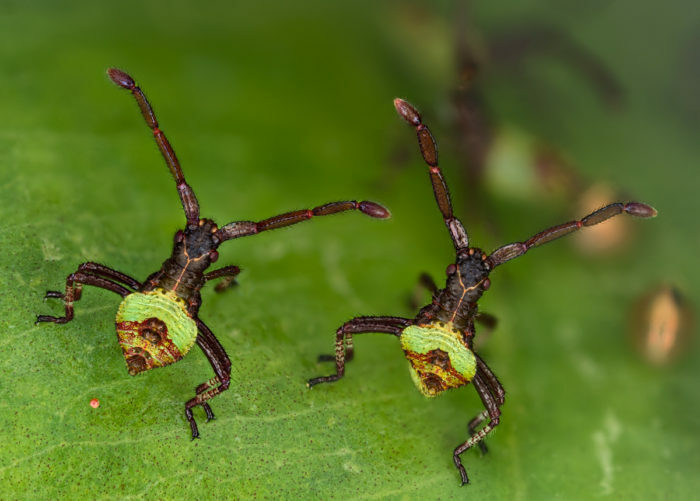 “Brother bugs.” Gonocerus acuteangulatus, two hours old. 3mm in size. Kurt Wirz, Basel, Switzerland. Sixth Prize, 2013 Olympus BioScapes Digital Imaging Competition®. Phantom midge larva (Chaoborus) “Glassworm.” Birefringent musculature that is usually clear and colorless is made visible here by specialized illumination. Polarized light, 100X. Charles Krebs, Issaquah, WA, USA. Seventh Prize, 2013 Olympus BioScapes Digital Imaging Competition®. 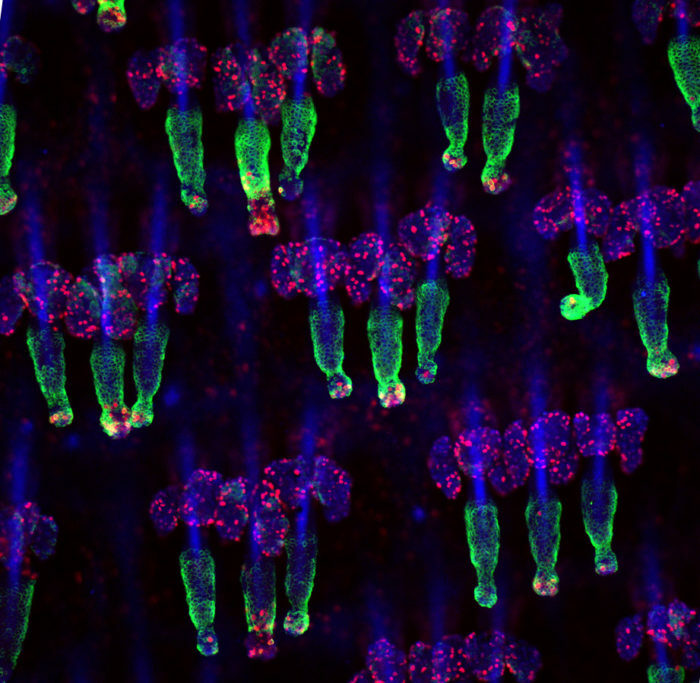 Mouse tail whole mounts stained for the K15 (green) hair follicle stem cell marker as well as Ki67 (red), which marks proliferating cells. Nuclei are marked with DAPI (blue). Technician on the project was Samara Brown. Confocal Z-stack image. Yaron Fuchs, Howard Hughes Medical Institute/The Rockefeller University, New York, NY USA. 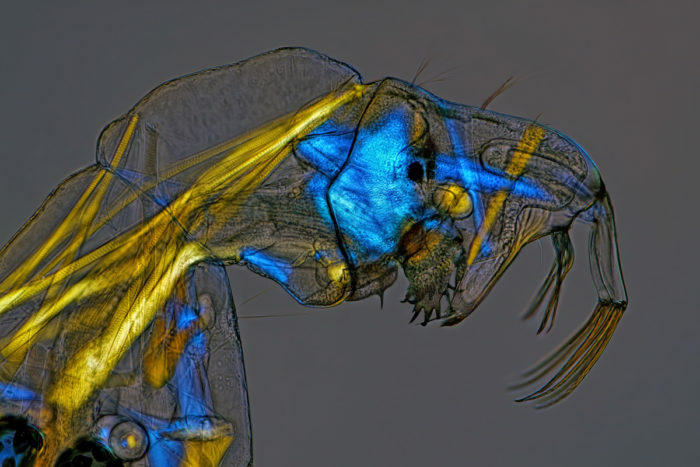 Eighth Prize, 2013 Olympus BioScapes Digital Imaging Competition®. 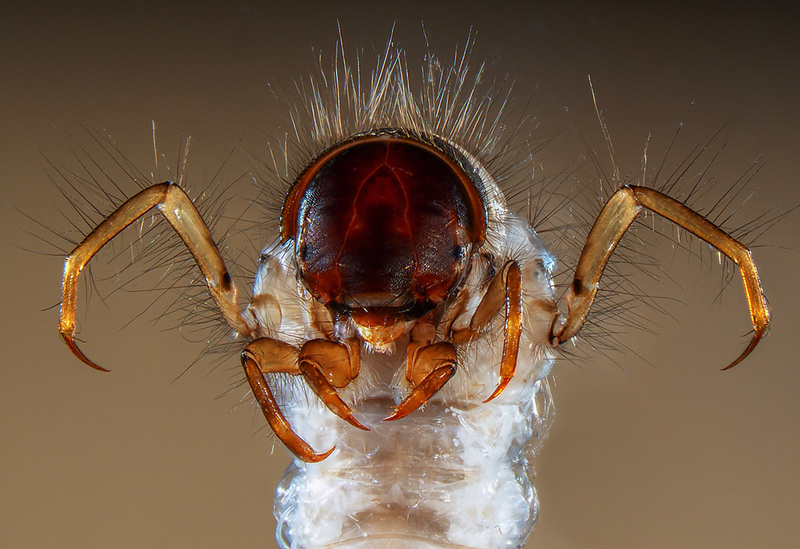 Head and legs of a caddisfly larva: Sericostoma sp., a European and North American genus of insects whose larvae live in fresh water, in gravel, stones or sand. The Sericostoma builds a case (portable tube) of sand grains to protect her flabby body, and eats plant debris and small invertebrates. This larva is a benthic macroinvertebrate that can be used for freshwater biomonitoring; because it is relatively sensitive to organic pollution and dies if water is dirty, it is a good indicator of water quality. Stereo microscopy, 15x. Fabrice Parais, DREAL (Regional Directorate of Environment, Planning and Housing) of Basse-Normandie, Caen, France. 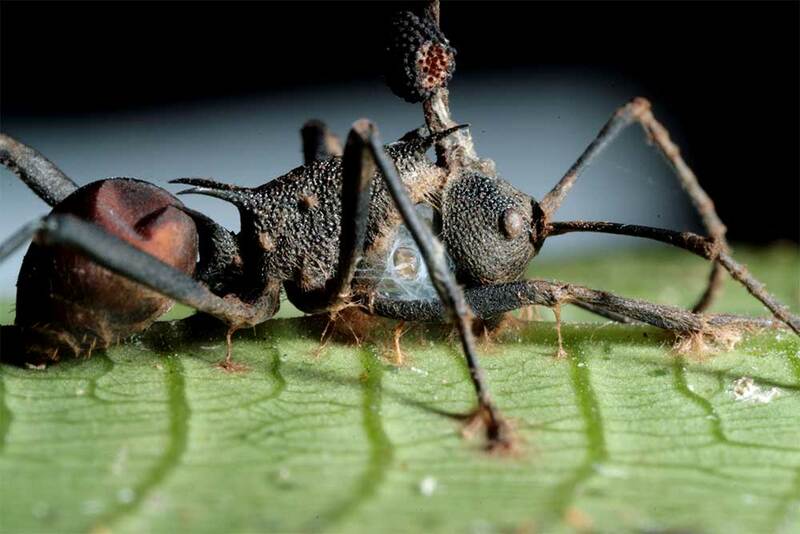 Ninth Prize, 2013 Olympus BioScapes Digital Imaging Competition®.